Looking to enjoy an evening filled with food, laughter and music? Altitude - The Air Lounge located in Mundhwa, Pune, is the place for you. 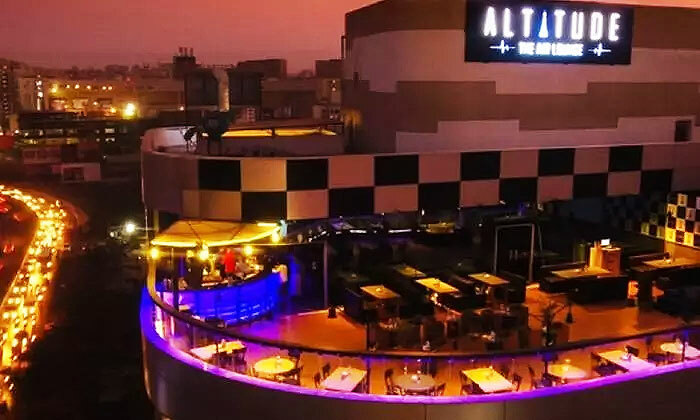 Altitude - The Air Lounge is a restro bar and lounge that is popular for its extensive assortment of food and elegant setting. The rooftop lounge offers stunning views of the city and features a classy setting with upbeat music, spacious dance floor and a thriving nightlife that is sure to get you in the party spirit. This air lounge offers up dishes of North Indian, Continental and Italian cuisines as well as a range of other delicacies that can be paired with unwinding drinks from the well-stocked bar. Altitude - The Air Lounge is sure to lift your spirits and makes just the spot to unwind in style after a long day.